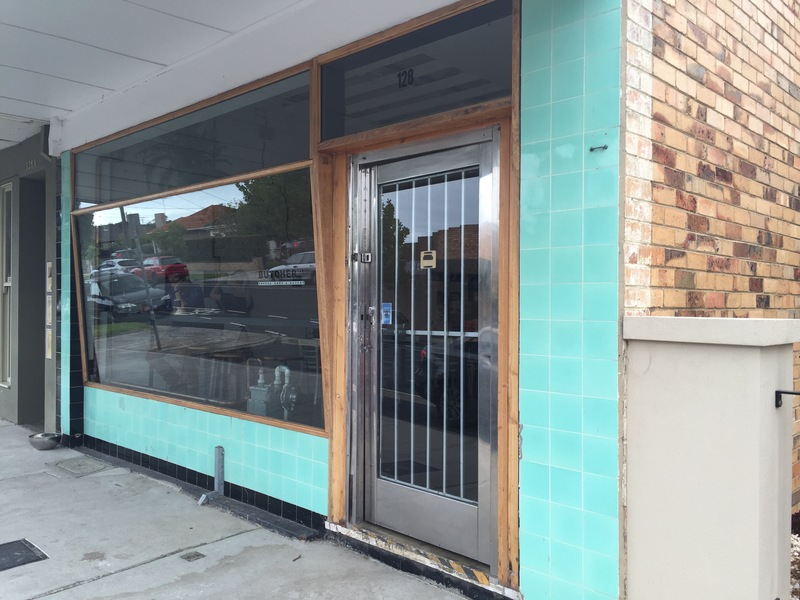 In a quiet street in Yarraville you’ll find a humble old butchers shop turned into something a little bit special. Converted shops and houses are familiar sights in the Melbourne dining landscape, but this butchers shop conversion is truly unique. The front room is white, light and semi industrial. 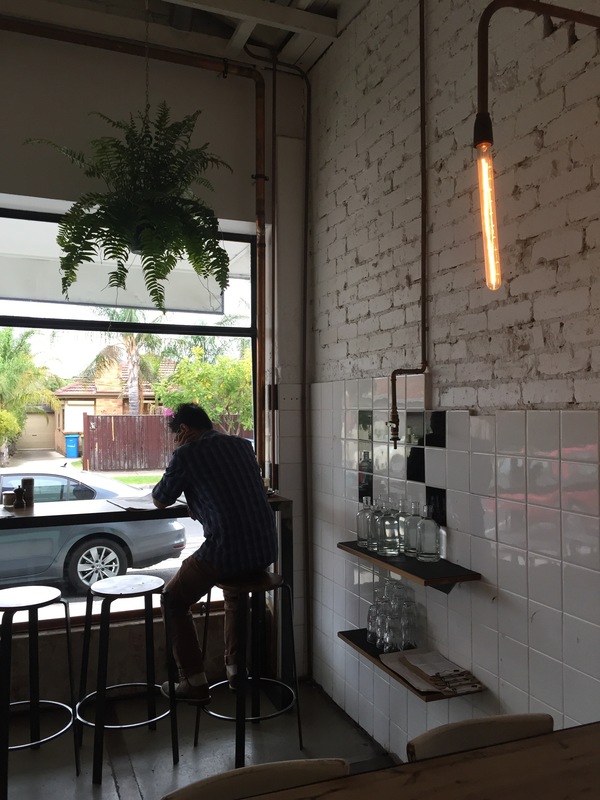 A combination of tiling on the walls, exposed brick and piping pull it into the modern tastes, while the butchers counter still dominates much of the space. Following through to the back room the atmosphere shifts entirely. An extension renews the aesthetic, a move towards wood but without losing the light and bright space. 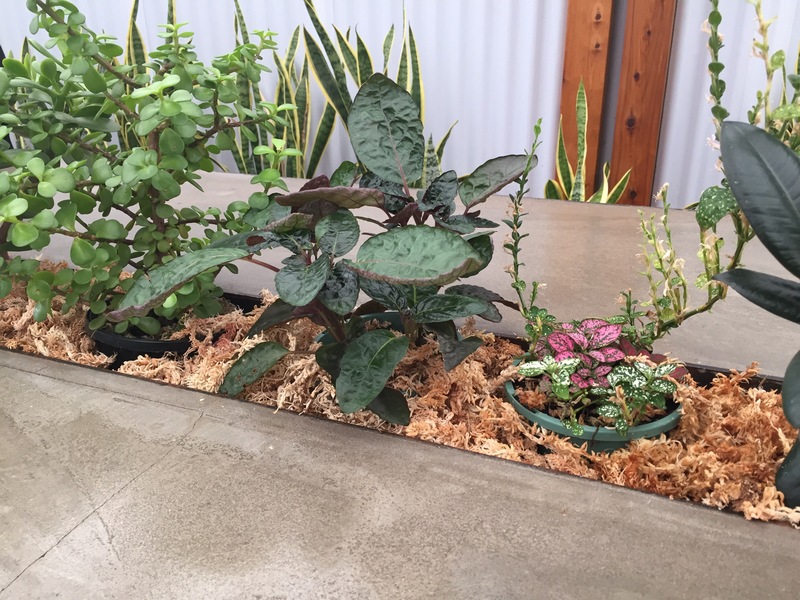 A beautifully living table feature is a highlight on the way through to the outdoor area and children’s play space. 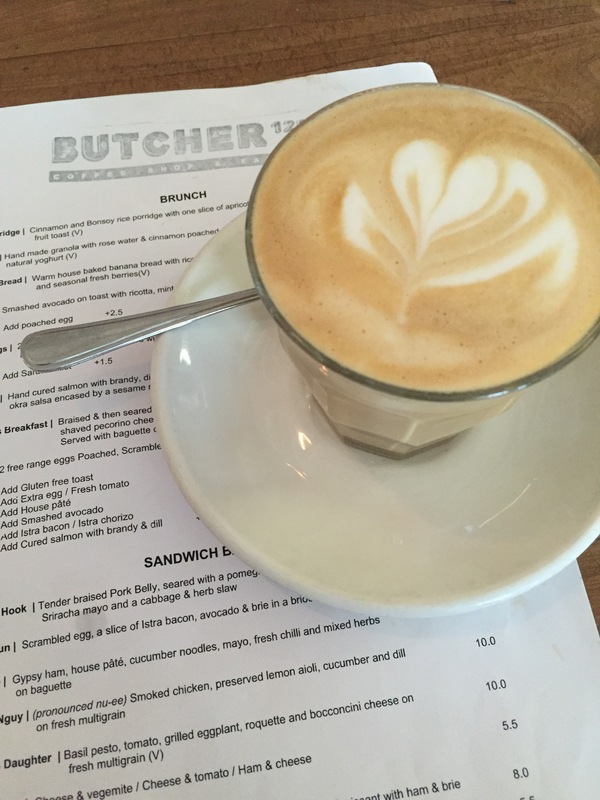 The coffee at Butcher128 was rich and full in flavour, fruity but with a creamy finish. 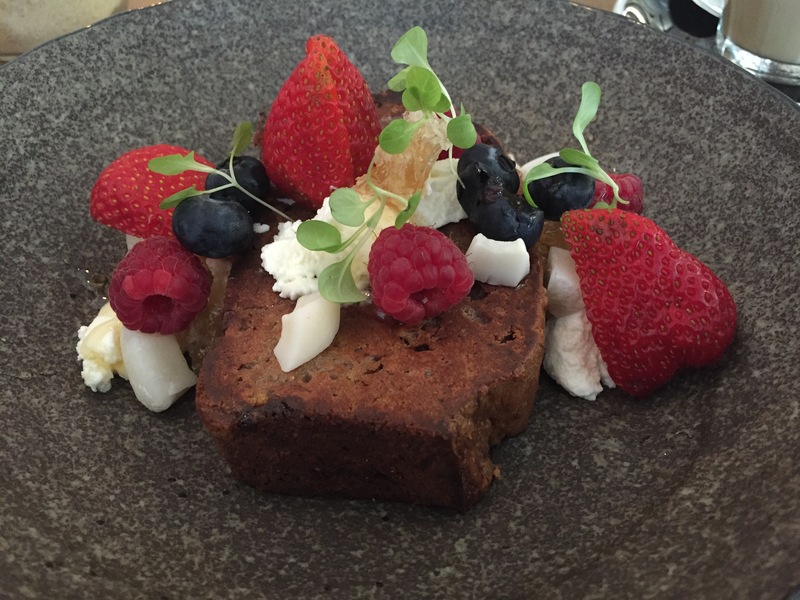 Our first dish was Banana Bread, served with fresh coconut, ricotta, berries and honeycomb. This was a dish that was screaming out for some sort of sauce to connect it together and give it some moisture. It was also a mistake to serve large chunks of fresh coconut, it’s a good idea but notoriously difficult to eat. The fresh honeycomb was brilliant, intense but still subtle and with beautiful floral notes to finish. This dish has the makings of something special but really needed more refinement to get it there. 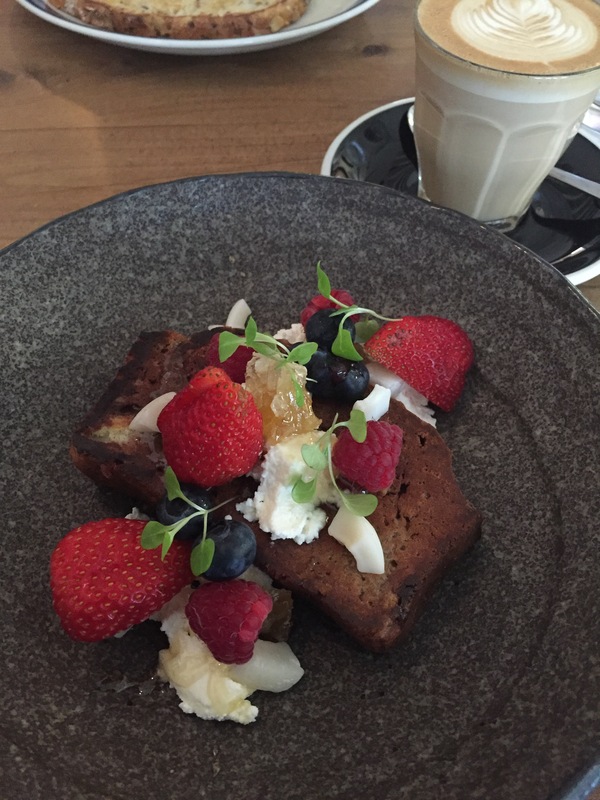 Our next choice was the butchers breakfast – the Butcher128 take on a big, meaty breakfast. 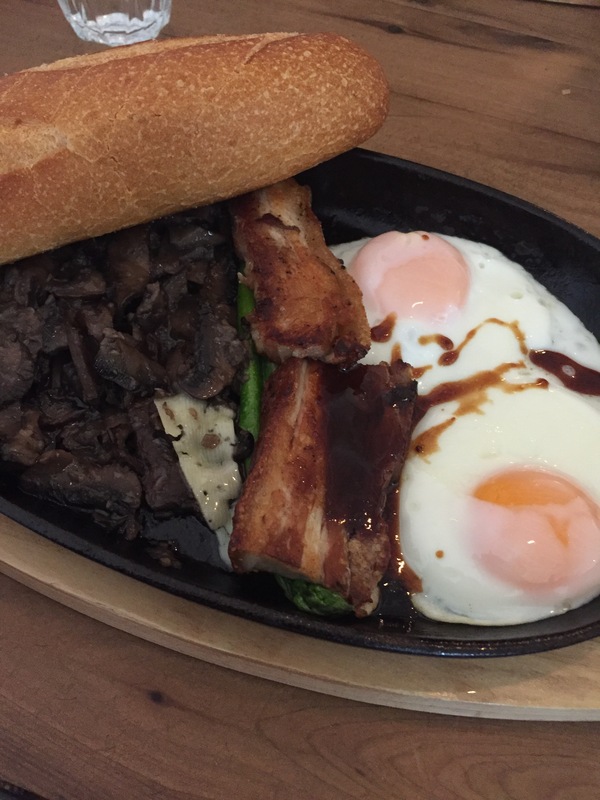 It was a serving of pork belly, mushroom, eggs and bread (not toast; bread). We liked the pork belly as a bacon replacement but were keen for a bit more crispness. The mushroom had a nice garlic flavour but there was just too many and the serving was a bit gluggy. The eggs were similarly nice but not quite cooked to the standard we were hoping for. We would have been happier were the bread toasted, and while we enjoyed the asparagus it didn’t really have a place in the dish. 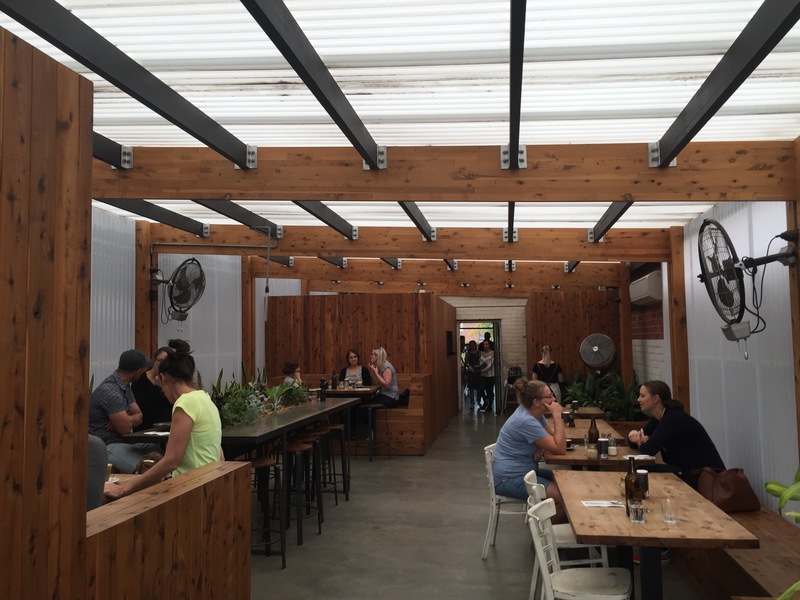 Butcher128 have a great feel about the venue and are on the right track with their dishes need a bit more in the way of cohesion and refinement. We look forward to watching and seeing what they do next.